A comprehensive, accountability based lifeguard program designed to meet water safety needs for all clients. Internationally renowned training that is used at the worlds premier waterparks along with major international resorts, hotels and entertainment facilities worldwide. 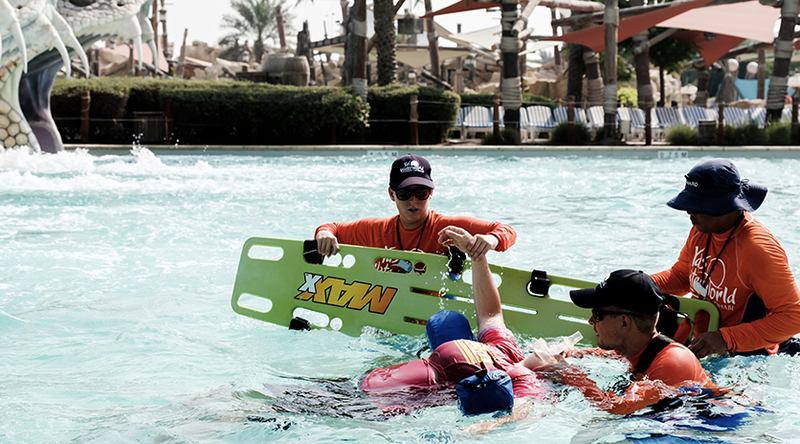 The ILTP® Lifeguard Training program successfully trains lifeguards through professionalism, proven methods and state-of-the-art lifeguard rescue skills. 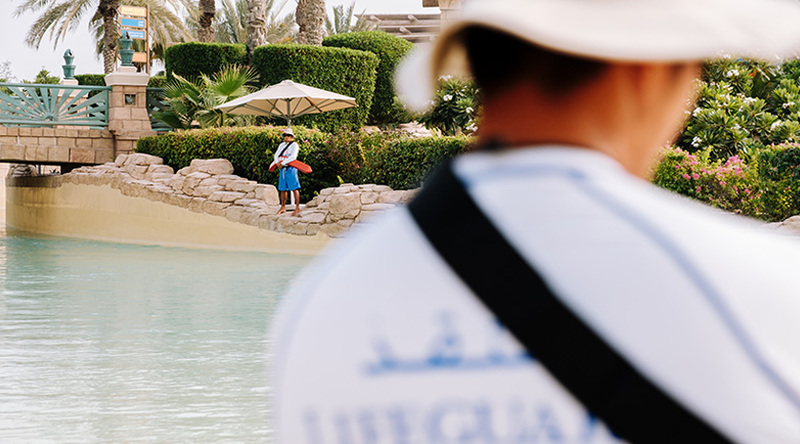 ILTP® is significantly more effective than other lifeguard programs, due to objective-driven and performance-based training that results in a more confident and competent lifeguard. Training components also include; First Aid, CPR, Emergency Oxygen Support and Automated External Defibrillation (AED) usage. Delivering the most up to date information on injuries and illnesses including Cardiopulmonary Resuscitation (CPR) and Automated External Defibrillator (AED) use, SST First Aid Training and Paediatric First Aid Training incorporates core information for first aiders presented in a clear and straightforward format. Utilizing step-by-step explanations, visual summaries of life-saving skills and a hands on practical approach to ensure effective learning and absorption of skills. Using the Ellis & Associates Safety & Health program and taught by internationally experienced instructors, SST First Aid and Pediatric First Aid Training is held at global standards and fully accredited by Dubai Corporation for Ambulance Services (DCAS) Dubai. 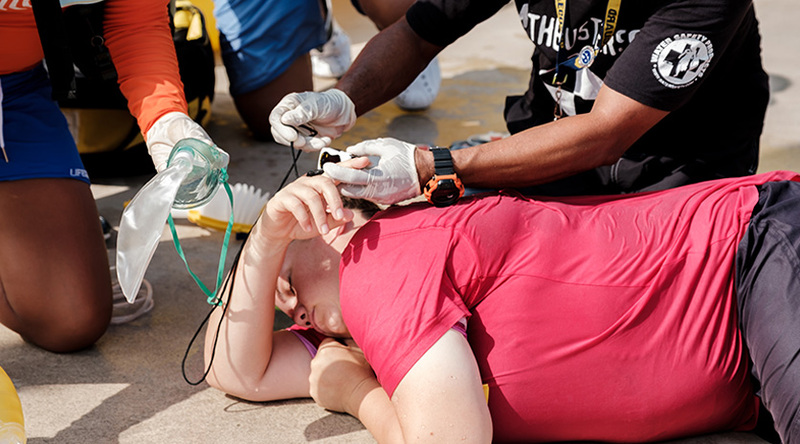 Handling Medical Emergencies (HME) reinforces preparedness, practice and training of various Emergency Action Plans (EAP) over a 2 hour intense training course. Participants learn techniques and best practices to deal with medical emergencies and ways to make them run smoothly, which includes, example roles and responsibilities of the various layers of response during medical emergencies including the first responder and senior manager. HME is facilitated learning for colleagues in leadership roles to assist in improving departmental and resort safety. The day you leave the class your skills begin to diminish. 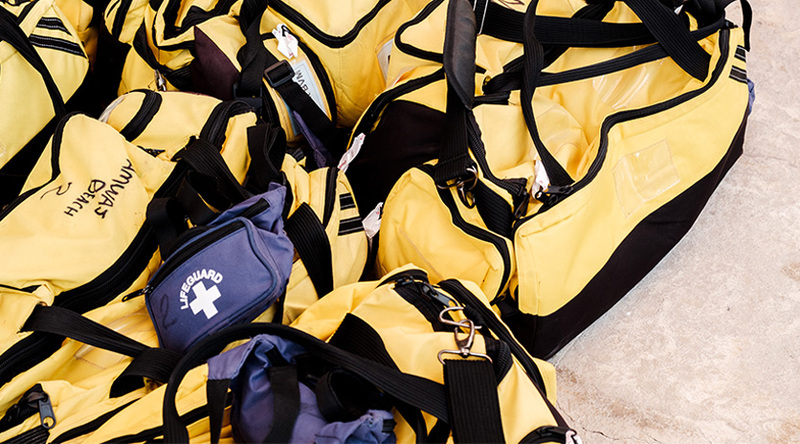 Keep your life saving skills sharp with periodic In-Service Training.